At Bay Path University, we make it easy for women like you to go back to school and earn their college degree entirely online through The American Women's College. Our limited enrollment classes ensure that you never feel like a number or get lost in the crowd. And our academic support team stays in close contact with you (if you wish) throughout your enrollment with us — right until you graduate! Our non-residency, online-only RN to BSN program prepares Registered Nurses to expand their professional career options and stay competitive in an ever-changing health care environment. Successful candidates for this program will already have earned their associate degree/diploma from a nursing program accredited by ACEN/NLNAC and will be currently licensed as a registered nurse. 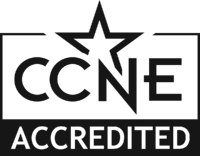 The Bachelor of Science in Nursing at The American Women’s College of Bay Path University is accredited by the Commission on Collegiate Nursing Education, 655 K Street, NW, Suite 750, Washington, DC 20001, 202-887-6791, http://www.ccneaccreditation.org. It is the student’s responsibility to review details about home state regulations that may affect enrollment in an online program offered by another state. For further information, please consult your state's Department of Higher Education, your State Board of Registration in Nursing and or the National Council for State Authorization Reciprocity Agreements at http://nc-sara.org/. Students are financially responsible for all expenses related to obtaining the necessary background checks and clinical/health requirements associated with the direct clinical capstone experience utilizing Castlebranch (background screening and compliance tracker).